Here's your chance to pick up a few souvenirs from your visit to Evansville, Rikki's hometown in the Smoky Mountains. 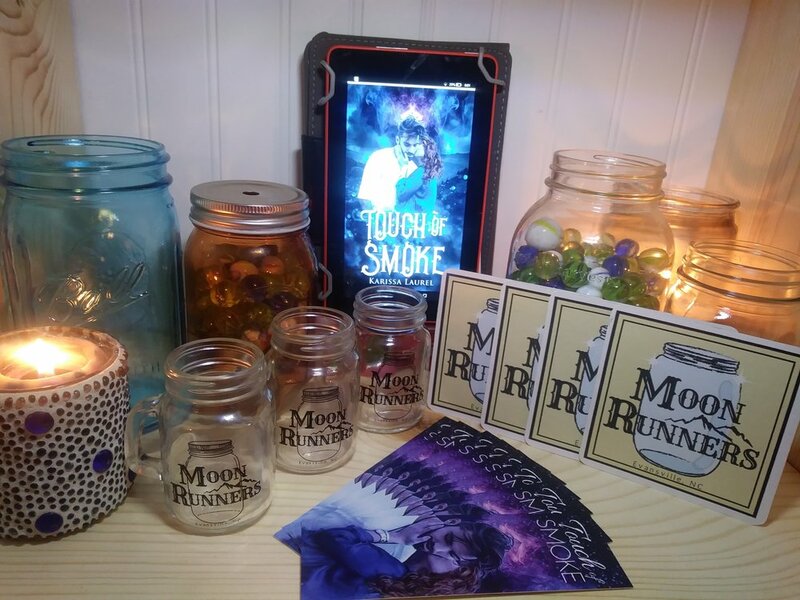 Get a Touch of Smoke bookmark and your own novelty shot glass and bar coaster from Moon Runners, the local moonshine bar and distillery featured in Touch of Smoke. 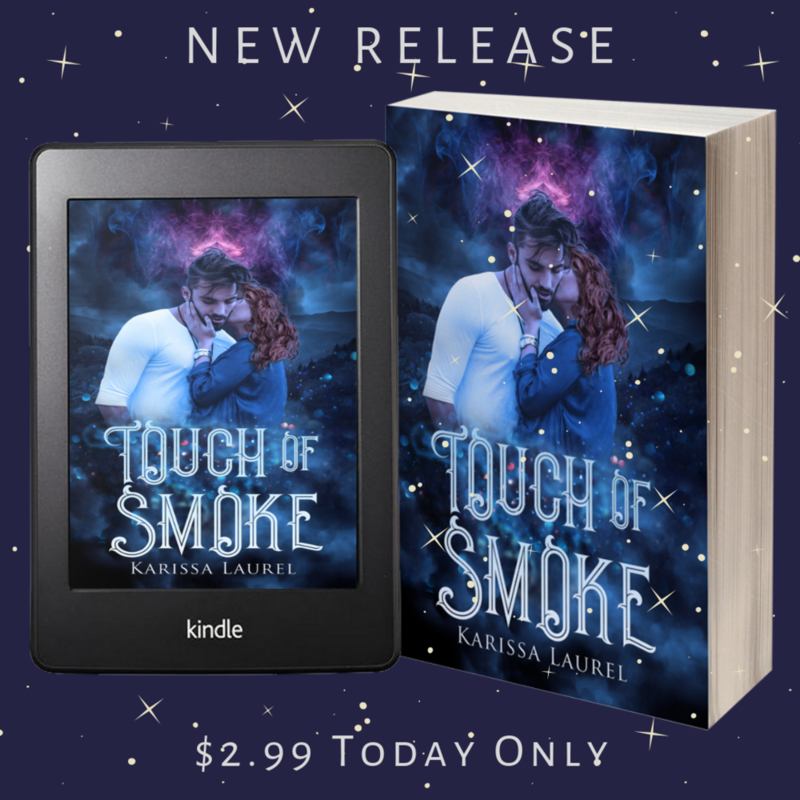 Submit a proof of purchase or pre-order (upload a screen shot image of purchase verification or copy of purchase verification email from Amazon, Barnes and Noble, Google Play Store, iTunes, or Kobo) of TOUCH OF SMOKE by Karissa Laurel to receive a free thank-you gift which includes a "Moon Runners" drink coaster, shot glass, and a book mark. **U.S. Postal addresses only** (Unfortunately shipping overseas is too expensive). However, anyone who provides an international shipping address will receive a free book mark--no proof of purchase required. Offer open to anyone over the age of 18, until supplies run-out (supplies are limited) or until February 13, 2019, whichever occurs first.